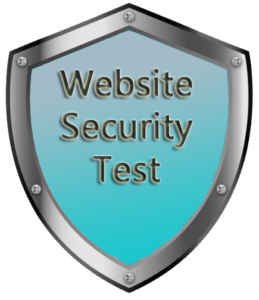 We can test your site to see if there are any loopholes or security issues on your website. In IT industry, it is called “White” (a.k.a. “Ethical”) Hacking. Most of the famous & giant companies offer rewards for vulnerability detection on their websites, like Google, Microsoft, Facebook and etc… This is the best and clever way to avoid serious problems and guard your site from background hacking (which you might never find out and haker ight steal information, credentials and money). During process, we use manual or automated apps and tools to detect any loopholes, which might cause particular security problems or have any side-impacts onto operation of your website. We operate confidentially and the communication takes place only between us and the owner of the website, so, no one else will have any information about ongoing works and any detected problems. Our prices depend on what we deliver to you. We only take significant security problems into consideration, which might cause real danger to your property. June, 2016 : Our team has found critical security bug (8/10) on giant hosting company Hostinger.Com ( view blog post). April, 2017: Our team has found critical security bug (9/10) on another giant hosting company Active24.com (view blog post). Its a correct decision for any small or large business, to order such service. However, it’s a free of charge in case we don’t detect any vulnerability. You only pay for what we detect & deliver you. Cost depends on detected vulnerabilities. We deliver you all what we come across and send you all notes with regard to the found issues, also offer the ways to fix them too. Of course, you should always note, that every update of your CMS (like WordPress, Joomla or etc), every plugin or theme add an additional risks of any background or invisible security issue. So, fixing one issue doesn’t guarantee you to have a protected website. For example, Facebook, Uber and similar sites, have paid ten times to the same developers for detecting different kind of bugs. So, it might happen, that instead of 1 issue, there may be detected multiple issues. Off-site : we try to inspect any loopholes like any hacker does (without any access to source code). This is practical way to detect your safety. We (like others) try to “guess” and “find” if we can catch any issues (however, even if we don’t find, it doesn’t mean that you are free from loopholes). On-site: more advanced way to check any existing and possible issue, and it is realistic way to detect already existing issues. while you grant us access to administration & source-code. That gives us direct opportunity to check issues directly, without any need to “guess” any loopholes (like in 1st method). We can start it now (if you were already notified by us, then it means we already did an inspection). Note, at this moment, we only offer to work with WordPress CMS. Contact Us right now or skype with us.